The ACME Group has come a long way. From building four-storey buildings to designing and executing mini-townships with over one thousand flats, the journey has been an arduous yet satisfying one.While you read this, 7.5 million square feet of housing is under various stages of construction across Mumbai city. Through the years, every project has been developed with the vision of world-class elegance and yet the intention is to build luxury homes that have a vibe of family and security in them. In this 40 year journey, the ACME Group has scaled up its construction sites in size and volume. The Mumbai skyline has almost a hundred ACME landmarks dotted across its map. All new project buildings have been designed with care to ensure that the home-owner will experience “housing happiness” and the joy of staying there. 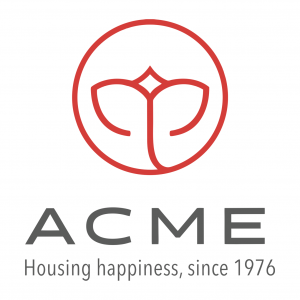 The ACME clan (or ‘parivaar’) is growing, with over 5,000 families residing in buildings and mini-townships constructed by the group, over a span of forty years. Their search for ‘home’ has ended in an ACME apartment. These families are the true brand ambassadors of the group, and stand witness to its credibility and commitment. Their keys to their homes are a symbol of their pride as home-owners.